Happy Mother's Day to all the Aussie Mum's today! I do hope that you've all been very spoilt... my dear husband gave me amongst other things a box of HIS favourite chocolates..... wasn't that nice of him! I've used this weeks challenge to make a Mother's Day card for my Mum. 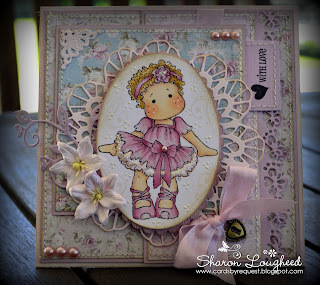 This week I've chosen this gorgeous Ballerina Tilda and teamed her with the beautiful new Vintage Summer Basics 6x6 papers from Maja Designs. I've used two different DooHickey Dies the flourish and new border and my doily die is from Cheery Lynns. Tilda is coloured with copics and I've added some stickles to her tutu. 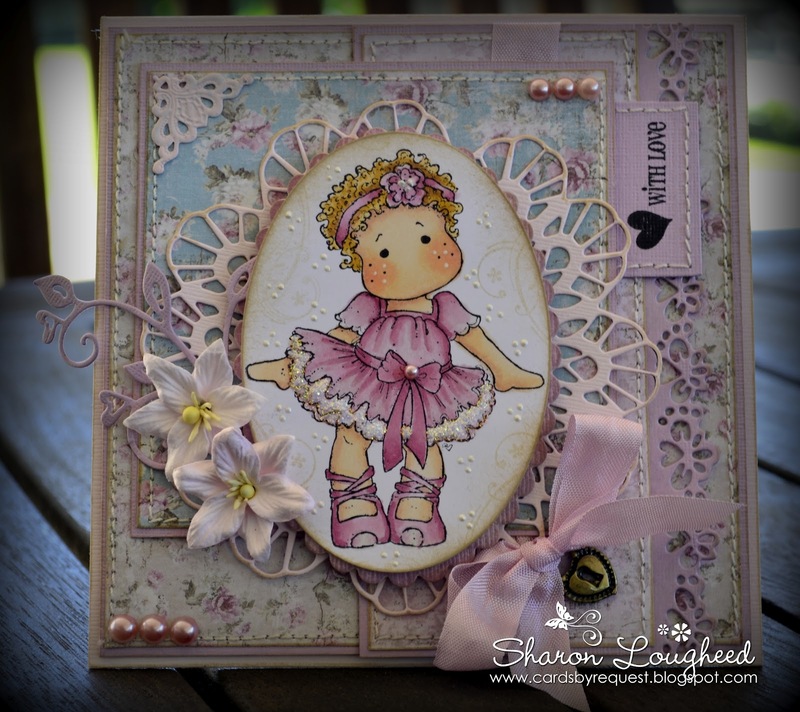 The sentiment is from SU and the flowers and seam binding are from Wild Orchid Crafts. Stunning, love this! 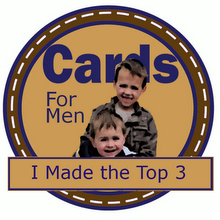 Thanks so much for joining in with the challenge at Charisma Cardz this week. Thanks for joining our I love you mom challenge over at secret crafter this week and good luck ! Wow ! My favorite Tilda ! You magnificently highlighted it. Fine and delicate work. Congratulations ! Wonderful realization ! Such a lovely card. I love this Tilda she is so cute and you have coloured her so perfect. 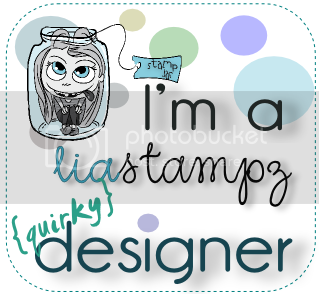 I really love your creations! 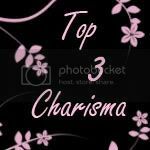 If you go and visit my blog I have a little surprise for you, hope you like it!